I have a love for accessories (and accessorizing in general) but I've never owned holsters. I'm not into weapons so I just never had the need. Oh how stupid and naive I was. 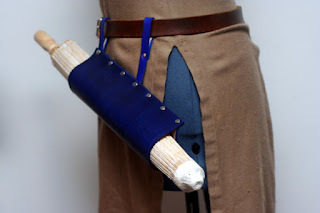 Everything changed thanks to Pinterest, where I stumbled across a pin for the Etsy store Versalla and realized, "I totally need a leather holster for a folding fan!" I don't actually own a folding fan, but that's because I never had a holster to keep it in. 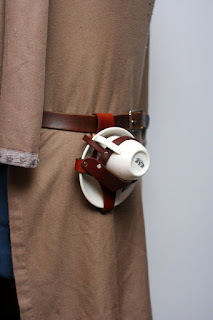 And then-- a teacup and saucer holster! I'm not much of a tea drinker, but I never had a reason to be...until now! A whole new world is opening up to me! 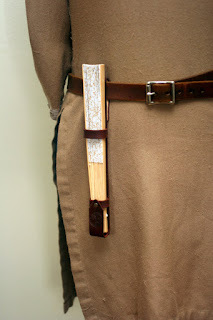 A world of props and accessories that are too big for my purse but can always be with me, dangling from my belt like a carpenter's tools. 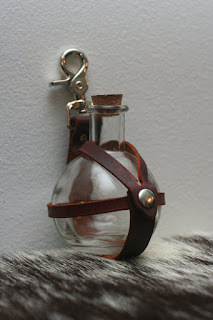 A potion bottle holder? I'll fill it with a magical potion called vodka. 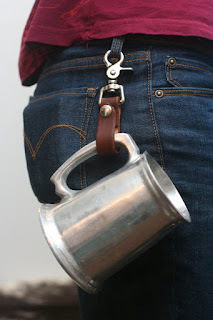 A leather tankard strap? 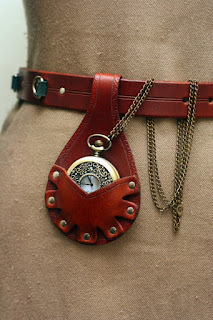 A pocket watch holster? I'll take 'em both! 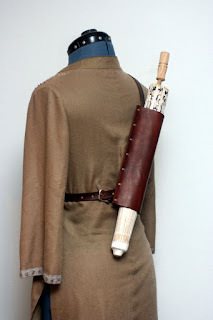 A parasol holder that straps across your back? Oh my god just give it to me! !